For centuries, the uncontested king of the higher education realm has been its unwavering image and reputation as the gatekeepers to success and enlightenment. However, there’s a threat to the higher education throne; higher education is facing an image crisis. In recent years, universities and colleges have faced challenges: Concerns about the value of higher education in an economically unstable climate, declining federal funding and mounting competition for new students both at home and abroad. As the figures above suggest, student numbers in the US are dropping at an alarming rate and represent a very real threat to the stability of universities and colleges. Given these challenges, how can these institutions continue to attract, engage and retain a high caliber of students, alumni, faculty, staff and researchers? 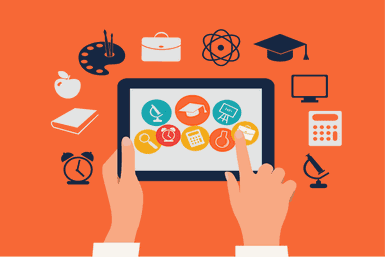 Universities and colleges are increasingly coming to terms with the importance of utilizing online channels to communicate a specific message to a diverse yet unified audience. While higher education institutions are recognizing the need to up their online game, it’s not enough to invest in a great web design and a robust content management system without also putting in place a dedicated content strategy. Content strategy focuses on the planning, creation, delivery and governance of content. The right content strategy can improve SEO results, help you produce higher quality content and provide more consistency in your overall campaign. Identify your content team: Who is currently providing content? Who has access rights? Find out what each person’s strengths and weaknesses are and assign roles based on your findings. Know your audience: Ask yourself who are you writing for? Knowing your target audience and identifying their needs is half the battle. Clarification is key: A university’s website or social media page is often the first port of call for a prospective student or an alumni member looking to reconnect. If your website suffers from poorly organized content and messaging that is unclear or outdated potential students won’t stick around for long. Develop a defined process: A huge part of your institutions’ content strategy is ensuring that you set out a clearly defined process for content contributors to follow. This process could include writing for the web training, style guides, governance and workflows for the creation and approval of content. Well written and consistent content will drive visitors to your website, cultivate engagement and ultimately have a positive effect on recruitment, retention, alumni funding and research. In order to achieve this it’s vital to take the time to develop and implement a content strategy. While Higher Education institutions have been adapting how they communicate to students and prospective students, it’s also equally as important to change what is being communicated. Investing in a transformative web strategy requires time, resources and a considerable commitment. So, why go to all that effort just to fall at the final hurdle? One of the most important things to consider when planning your online overhaul is to ensure you are writing for your target audience. Think about who your university’s target audience is. A large percentage of prospective students both at a national and international level will be aged between 16 and 18. Students of this age don’t typically respond well to an overuse of academic terminology and archaic language. It’s important instead to use language that can be easily digested online. Is your content clear and concise? Is your content free of jargon and overly descriptive language? Does your content give value to your target audience? Is it easy to scan? Can your readers find the information they need without having to read the full page? Is your text broken up with explanatory headlines and bullet points? Is the most important information placed at the start of each paragraph? Is all the information necessary, informative and relevant? Writing content that gives your users the information they need when they need it can have a dramatic effect on the impact and effectiveness of your digital engagement strategy.